This amazing chair offers a contemporary and quite stunning look. 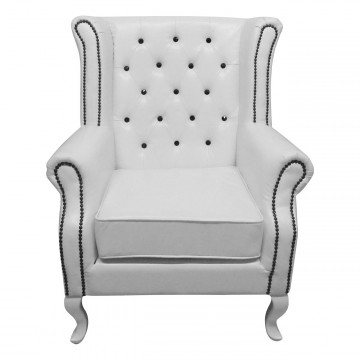 Finished in a white soft to the touch faux leather and contrasting black stud detail around the arm rests. A truly amazing piece of furniture.